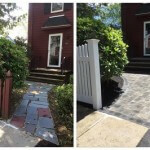 Before & After Nicolock Paver Walkway | Done Right Landscape and Construction Company Inc. 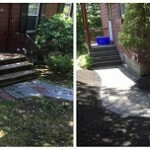 If you are interested in redoing your home’s walkway, contact Done Right Landscape for a free estimate! 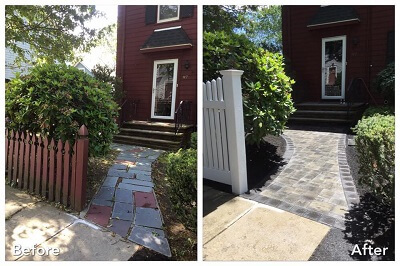 We can be reached by calling 978-886-8500 or by filling out our online contact form.